Once a competition has been set up, teams can be added to the competition. 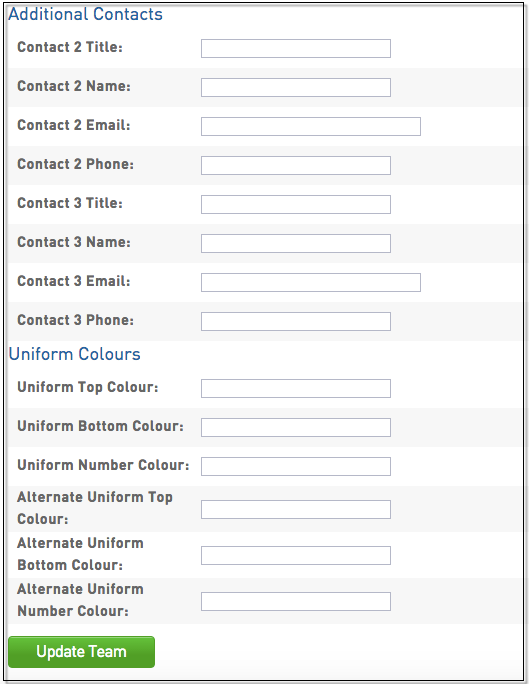 Then once teams are added, a fixture can be generated. These instructions will cover the first method - creating new teams and adding them to the competition. 1. 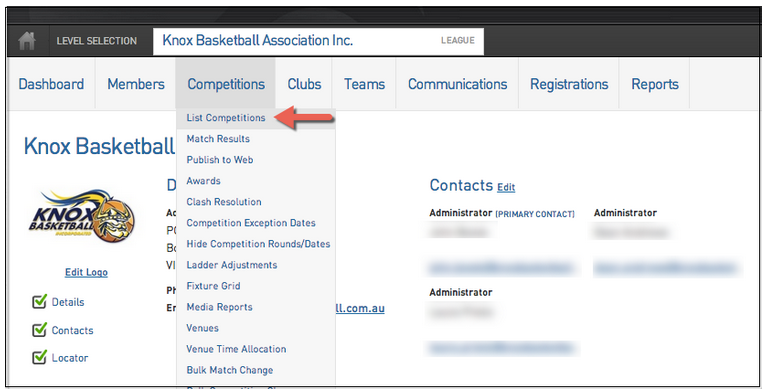 From the association or club level of Membership, click on Teams in the top menu. 2. The list of teams in the association will appear. Click on Add in the top right corner. 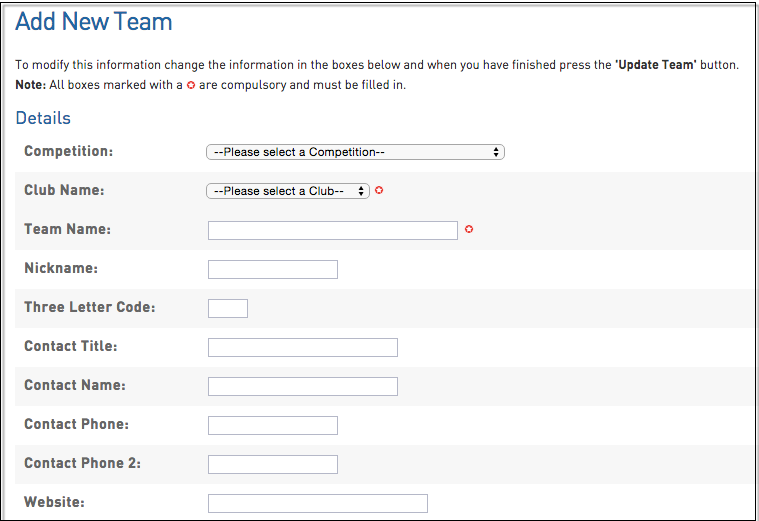 - Select the club that the team belongs to (association only). If you have logged into Membership at club level, the team will be added to your club. 4. Click on Update Team. A message will appear confirming the successful creation of the new team. 6. Repeat this process for each new team that will participate in the competition. 2. Choose a specific competition. 3. 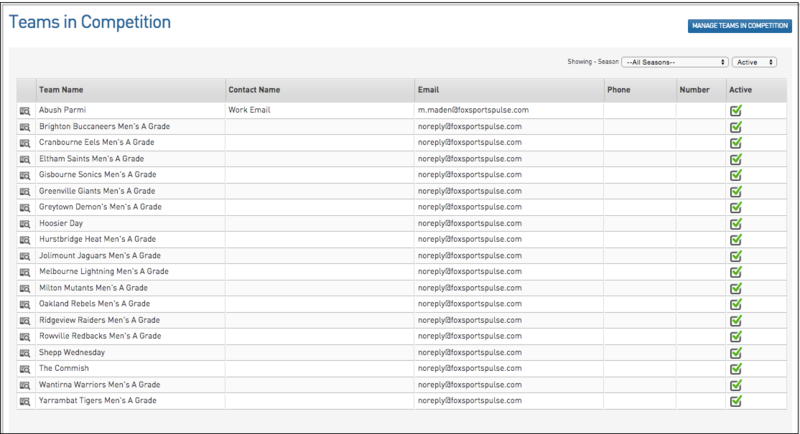 Click on Teams in the top menu and locate the new team on the Teams List. Note: For Pools Competitions, newly created Teams can be viewed/added to a Pool by selecting the Teams menu option, alongside the respective Pool (e.g. A,B,C,1,2,3) from within the Pools Competition Phase & Structure screen. 2. Click on the view button next to the team. 3. The Team's dashboard will open. 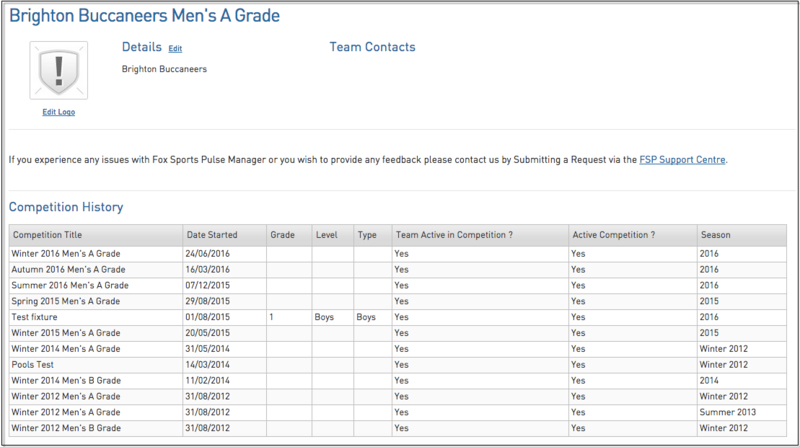 At the bottom is the team's 'Competition History' where the competition the team has been assigned to will appear. Hovering over Competitions in the top menu and click List Competitions. Click on the view button next to the competition. The competition's 'dashboard' will open. Click on Teams in the top menu. The list of teams assigned to the competition will appear.